Now you can have a custom-length (or volume) micro-or nano-UHPLC connection in a matter of minutes. The core of the system is a combination of a PEEK sleeve with a fitted stainless steel collar on one side. 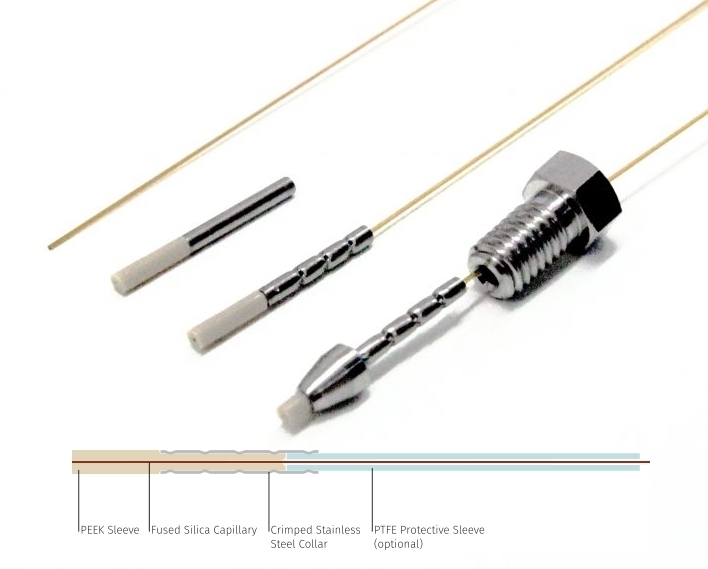 Crimped with the appropriate squeezer, this assembly has a much stronger grip on the capillary than the usual conical ferrule on a plastic sleeve - it connects 1/16" PEEK sleeve onto your 360um OD fused silica tubing so that they withstand UHPLC pressures. The starter kit contains all the parts needed for ten complete capillary connections and comes in a handy tool case: ZircoFit crimp sleeves, 1/16" conical fittings, fused silica capillaries and cutter, PTFE protective tubing, and the ZircoFit crimping tool. The latter is a squeezer that fits the sleeves onto the capillaries tight enough not leaking at 20,000 psi. Dionex, Waters and 60 other manufacturers! All lamps have a guaranteed life span of 1000 to 2000 hours. Deuterium lamps are sources of high intensity ultraviolet radiation down to 160 nm (for some models). Visible and infrared emission is negligible. 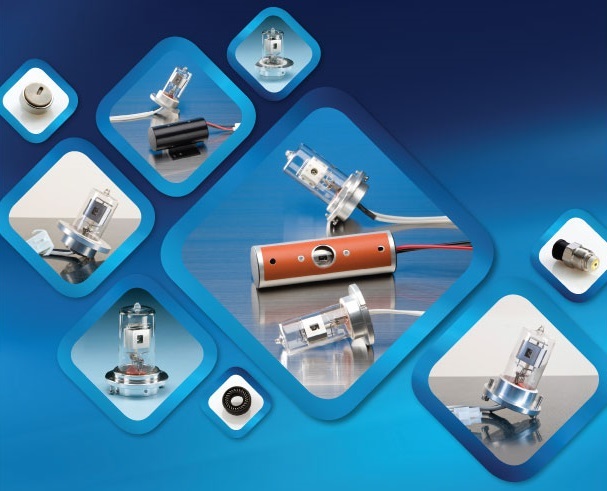 Use the drop-down menu in our webshop (www.webRshop.eu) to find the compatible lamp for your equipment.